This weekend (July 27th) in a small but popular club in Long Island, NY, Jimmy Cozier will give the crowd (mostly women) a chance to witness a voice that made music industry folk convince him to leave behind his songwriting roots in exchange for a career in front of the mike. A stretch for 24 year old, Jimmy Cozier, who would grew up in a household with a lot of singing and dancing but would get embarrased when his parents put him on the spot to sing for friends and family. The experience led him to pursue a career as a songwriter/ and background vocalist instead of performing in the spotlight for the masses. He began to write songs for new artists, stepped up to Mya, Sinead O'Connor and eventually co-wrote Janet Jackson's "Girlfriend" in 1999. He also sang background vocals for Lil Kim's "Backstabbers" track on the Junior Mafia album and worked on Joe's "All That I Am" tour as a background singer. His managers at NY based Upgrade Entertainment had bigger plans for him though and slipped a tape of Jimmy Cozier's work to Wyclef Jean. Wyclef saw the talent in the Flatbush, Brooklyn-born Cozier and arranged a meeting with Clive Davis. Why Clive? Besides the fact that he is a legend in the music business and artists love the attention he devotes to their projects, he was also in the midst of starting a new label - J Records. Perfect timing. Cozier says that he learned how to work a crowd by watching Joe perform, but it was Wyclef who spurred his ambition to be a complete artist. He told Jimmy that "you can sing, that's a God-given talent. You need to get on stage and learn how to capture and please an audience." 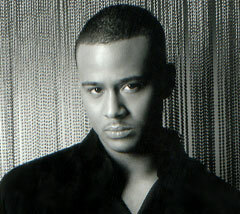 Cozier responded by co-writing ten out of 12 of the songs on his self-titled debut Jimmy Cozier. Songs that he felt people could relate to, relationship songs, which he describes as a fusion of Caribbean, jazz and R&B. "Everything on this album has happened to me or someone that I know," he explains. "There's a communication gap between the sexes. Women don't understand men, men don't understand women and no one's really talking honestly." Because hip hop rules the world, the remix brings in the verse man of the moment, Fabolous, to give it that extra bounce. Even without him, the record has been well recieved... which should manifest itself at that club in Long Island this weekend. Updates? Critiques on his performance? Only if I hop on the Grand Central Parkway this weekend.